Getting the cloud strategy part right is crucial for a successful cloud adoption process. 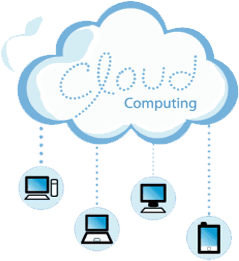 Get it done by the cloud computing experts who have a proven track record – Technousa. We help organizations leverage cloud computing for business growth cost-effectively – boost productivity and business efficiency, save cost & mitigate risk. Leverage our experience – 9 Years in Business. 500+ projects delivered. 100+ clients spread across 31 countries. Cloud computing enables on-demand or need-based access to computing services such as databases, software, servers, analytics, networking, storage, application etc. over the Internet. Cloud computing provides several benefits to companies such as cost-savings, scalability, speedy delivery of services, improved productivity and performance, reliability, flexibility and more. Call us on US & Canada: 001 (716-941-7348) | UK & Europe: +44-020-3002-7885 | India: +91-011-47097432 or email us at sales@technousa.com. 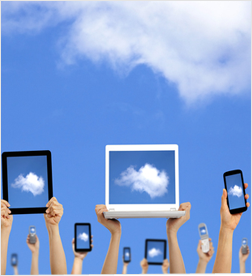 Technousa has a proven track record of successful development and implementation of cloud strategy cost-effectively. We have vast experience and expertise in planning and deployment of all types of cloud platforms including hybrid clouds. Our team's in-depth knowledge and experience on latest and advanced cloud computing technologies/ platforms and cross-domain expertise make us best in class. We work with our clients closely and develop cloud strategies in alignment with their organizations' business goals and priorities, long-term requirements, organizational vision and also trends and best practices followed in their respective industries. Our highly experienced cloud consultants will work with you closely to understand and analyze your business processes, IT requirements, issues and gaps and also the existing IT environment while taking your organization's goals and long-term requirements into consideration. Based on the findings and your inputs, our experts will give the right recommendations with respect to suitability of your applications for the cloud and the ones to be hosted in the cloud, choosing the right cloud technologies and platforms etc. Targeted Business Process Automation with an objective to boost profitability. Overall, Post-cloud computing, your transformed IT environment will be secured, flexible, scalable and highly optimized for performance.